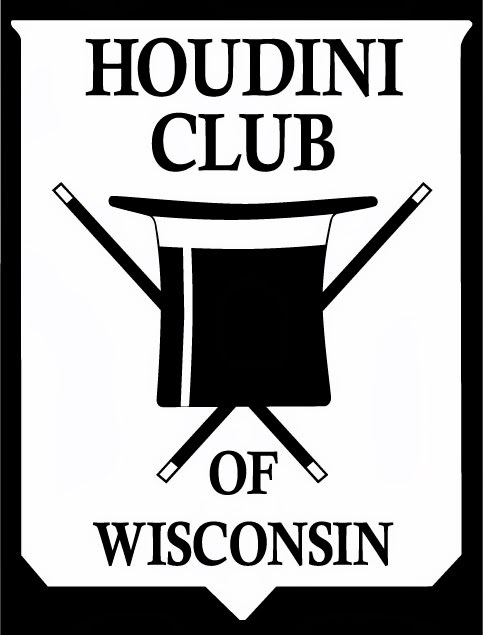 Probably the most incredible experience any Houdini buff can have is talking to someone who actually knew Harry and Bess Houdini. But with the passing of Dorothy Young in 2010, the last living connection to Houdini appears to be gone. To my knowledge there is no one left who knew, or even saw, Houdini in life. The ability to have that most incredible experience is now lost forever. That's why what I have to share today is, I believe, the most extraordinary thing I've ever posted on this blog. 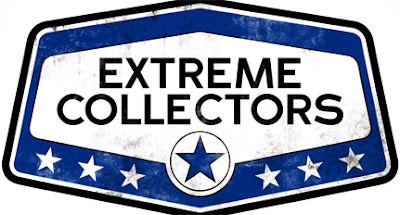 Because today I can offer everyone that very experience! A few months back Jon Oliver -- the man who sleeps in Houdini's bed -- provided me with audio of Bess Houdini's sister, Marie Hinson (Rahner), being interviewed by Stanley Palm around 1980. The Houdinis were very close with Marie and her husband John aka "Pop." In fact, Houdini paid for their wedding in 1911. In this amazing interview we hear Marie (who passed away in 1982 at age 95) talking in great detail about her sister and brother-in-law. 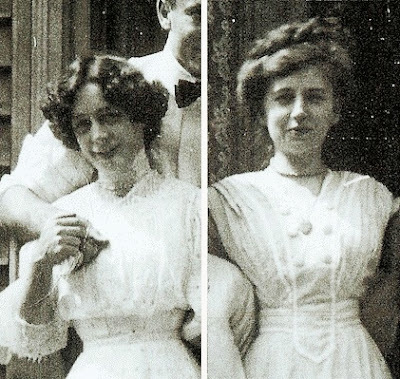 This is as close as one can get to the real Harry and Bess Houdini! Jon has given me free rein to present this as I like. I considered transcripts, but there's something about hearing Marie's actual voice that teleports the listener back in time. To hear her talk so matter-of-factly about how Houdini "came to the house"... Wow. So I've decided instead to post three unedited audio excerpts, which I will roll out over the three days of this Labor Day weekend. Why only excerpts? 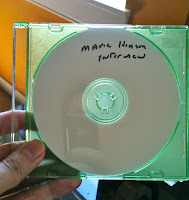 While the full 42 minute recording is amazing, this was a casual interview and at times Marie expressed non-Houdini related thoughts that seemed too private to post online. Also at times the conversation drifted and stories never quite connected or completed. But I've excerpted three strong sections, each longer than the last, and what I will conclude with on Monday (Labor Day) is the most intimate recollection of Bess Houdini ever to be made public. Okay, this is it. 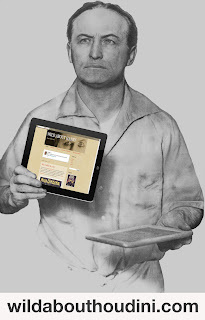 Thanks to Jon Oliver, Stanley Palm, and with the blessings of John C. Hinson and the Hinson family, the readers of WILD ABOUT HARRY can have the most incredible experience that any Houdini buff can have. 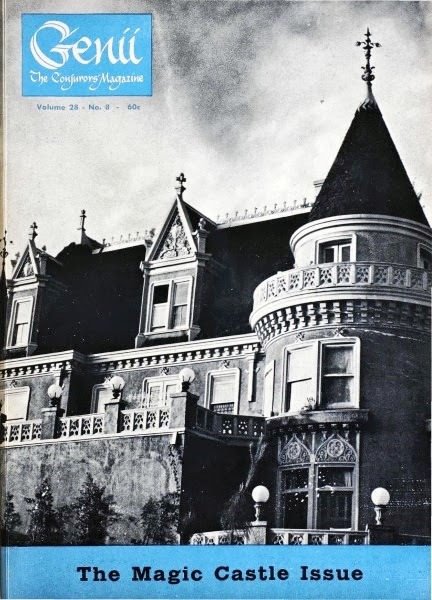 Click below and meet a women who knew the real Harry and Bess Houdini and has stories that, as Stanley says in this first installment, "Aren't in any of the books." Enjoy. 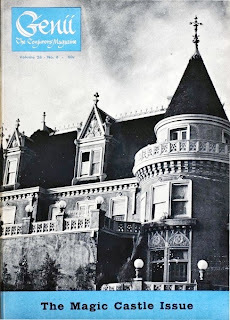 Tomorrow: Marie remembers traveling with Harry and Bess to a private show in Newport, RI. CHICAGO — Acclaimed Broadway composer Stephen Schwartz says he’s hard at work on a full draft of his next endeavor, the musical “Houdini” that has actor Hugh Jackman playing the legendary illusionist. “I’m specifically writing for Hugh in terms of what I think will sound good in his voice and what sorts of things will really help him to do the things that he does,” Schwartz said in a recent interview with The Associated Press during the Dramatist Guild of America’s conference in Chicago. He is the group’s president. “Houdini” is scheduled to reach Broadway during the 2013-2014 season. Schwartz said he hopes the show will make an out-of-town debut in Chicago before it premieres on Broadway. In April, admirers of the composer packed Carnegie Hall in New York for a tribute marking both Schwartz’s 65th birthday and the 10th anniversary of “Wicked,” which is still a tough ticket. But that show’s success doesn’t amount to pressure, he said. “It sort of makes you feel, ‘I have this big hit running, well if this doesn’t work out, it doesn’t work out,” Schwartz said. Schwartz’s work on “Houdini” could serve to counteract what he calls a recent “artistic slump” in commercial musical theater with shows that he says are safe and formulaic. Besides “Houdini,” Schwartz has been focusing on his role as president of the dramatist guild, which represents more than 6,000 playwrights, composers, lyricists and librettists. Besides Schwartz its board of directors includes Stephen Sondheim, Edward Albee, Terrence McNally and Tony Kushner. Schwartz cited censorship at schools and theaters as one threat that is proving stifling and discouraging for playwrights. He said his own 1971 work, “Godspell,” has become more controversial recently. The guild hopes to prevent that discouragement, he said. 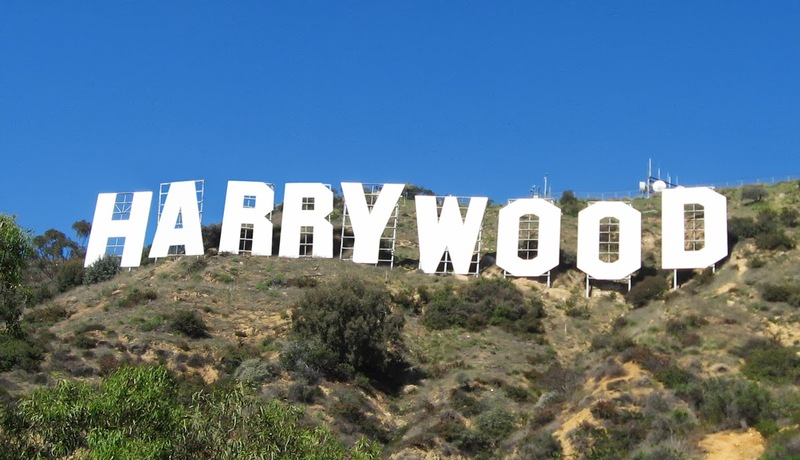 “The whole reason that all of us became writers is that we have things we want to say and issues we want to deal with and I believe very strongly in the right to self-expression,” Schwartz said. The guild has the Dramatists Legal Defense Fund that can help writers with censorship, copyright and other issues, he said. 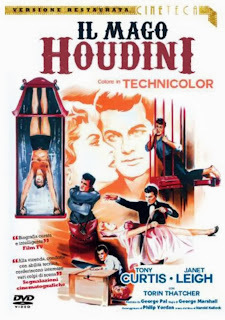 A new Italian DVD of the 1953 Paramount classic Houdini (Il Mago Houdini) has been released by Cineteca. This is worth getting just for the beautiful cover art! 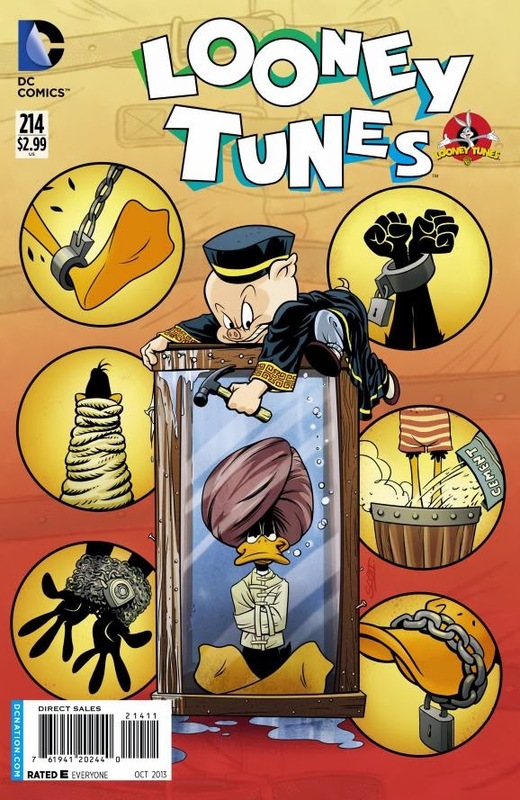 This artwork actually comes from a French poster of the period. This DVD has the English soundtrack with Italian subtitles, as well as an Italian dub track in stereo and Dolby 5.1. 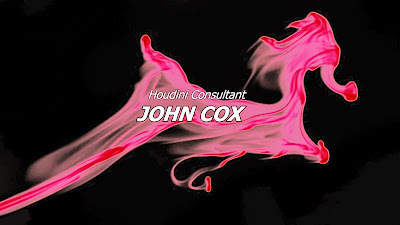 Il Mago Houdini can be purchased direct from the Italian Amazon.it, or from the U.S. Amazon.com via third party. But know that this is a Region 2 DVD that will not play on most U.S. players. 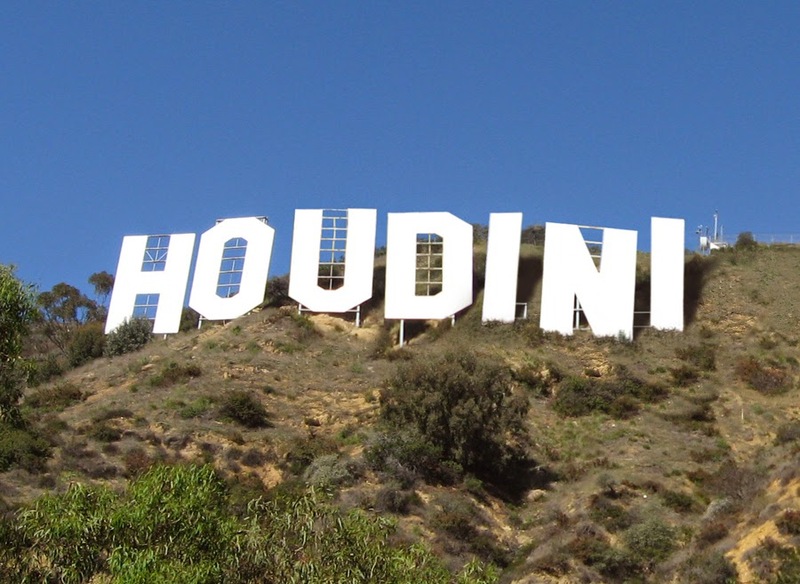 The big news this week was the greenlight given to History's upcoming 4-hour Houdini miniseries with Adrien Brody playing the master magician. But did you know Brody played Houdini once before? In the 1999 film, Oxygen, Brody played a kidnapper and killer who goes by the name of "Harry Houdini" and leaves clues to his crimes on Houdini's grave. 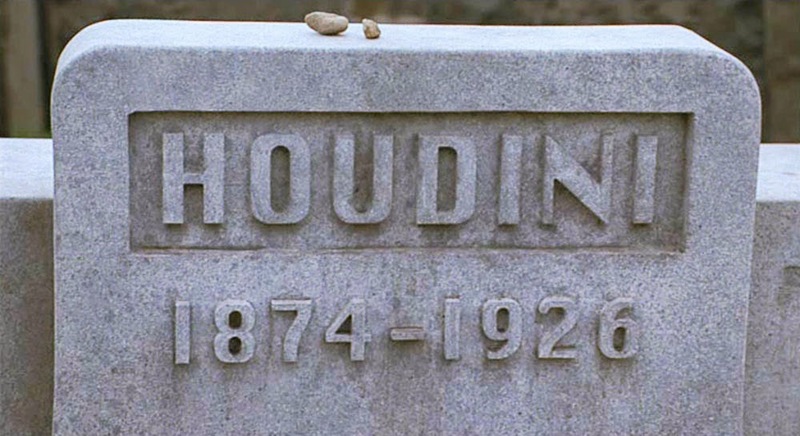 The movie didn't actually film at Houdini's real gravesite at Machpelah Cemetery. Instead it used much more modest mock-up of Houdini's grave, photos of which still get mixed into Google image searches for Houdini's real final resting place. Oxygen is available on DVD. With Brody now set to play the real thing, this one might be worth adding to the collection. 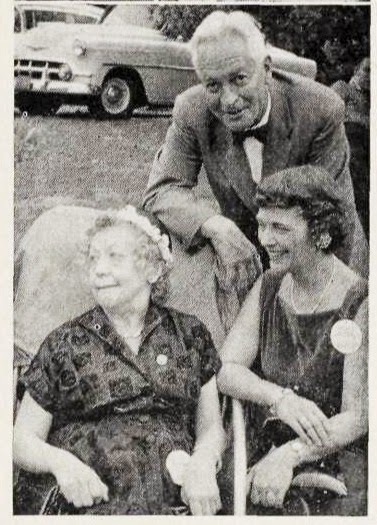 Here is a photo of Houdini's sister, Carrie Gladys Weiss, in 1957 at age 75. She's pictured here with Gerri Larsen, mother of Magic Castle co-founders Bill and Milt Larsen, and Art Baker. This photo was taken by James Randi at a party held at the home of Meyer Silberstein on Sept 8, 1957. 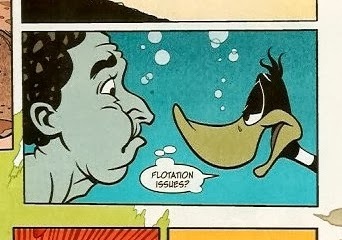 It appeared in the November 1957 issue of The Linking Ring. Gladys passed away in January 1959. You can read more about the somewhat elusive Carrie Gladys Weiss HERE. And make sure to come back at the end of this week when I'll offer up a Gladys artifact unseen for 20 years. Three amazing adventure stories from the Cahill vault! Read at your own risk. 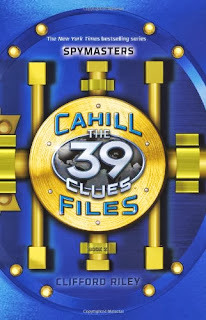 Purchase The 39 Clues: The Cahill Files: Spymasters on Amazon. UPDATE: Now that I have this in hand, I can add that it has a nice photo of Houdini on the front and back endpapers. This Blackstone playbill was recently snatched up on eBay for a Buy It Now of $69.99. Notice the reference to a seance in which Blackstone would attempt to contact Houdini and Thurston. As this was a proper midnight Spook Show, I'm sure manifestations occurred, and I would love to know how Blackstone interacted with his two "Dead Friends" in magic. You can read about the history of Spook Shows at Doctor Screams Spook Show Revival. 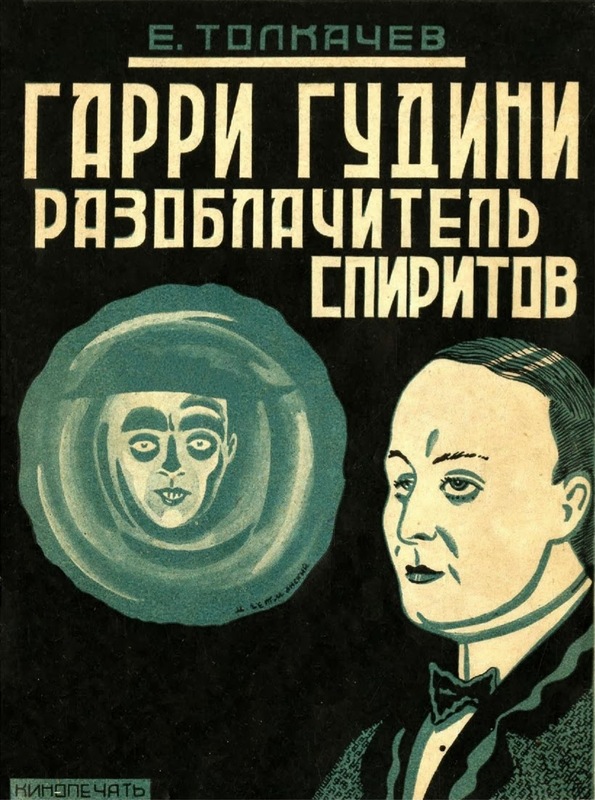 There is also a book about the phenomena called Ghostmasters by Mark Walker. Click the headline to check out the joke of the day at Jokes Blogger. Not bad. Last night Drunk History aired a segment about Houdini in an episode titled, "Detroit." For those who aren't familiar with the Comedy Central series, Drunk History features soused storytellers talking about real history while well-known actors perform their inebriated version of events. It's pretty funny stuff. In last night's episode, Ken Marino and Alfred Molina played Houdini and Sir Arthur Conan Doyle respectively. The storyteller was Lucius Dillon, who was very, very drunk. 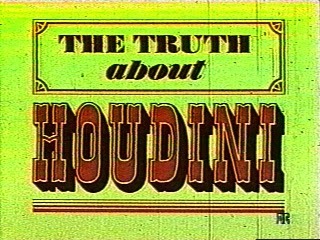 The Houdini segment was the last, longest, and drunkest of the show. It was broken up by a commercial break. 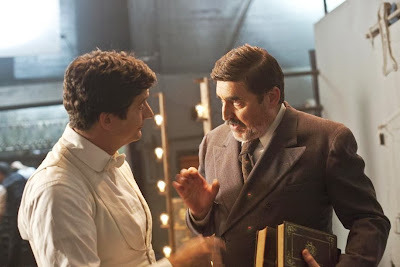 For all the frivolity of their approach, Drunk History actually did a good job with their Houdini history -- far more responsible and accurate than some of the recent offerings from the cable networks (yes, Brad Meltzer's Decoded, I'm still talking about you). While there were no egregious inaccuracies, I can offer up a few picky points of clarification. So let's do this thing. 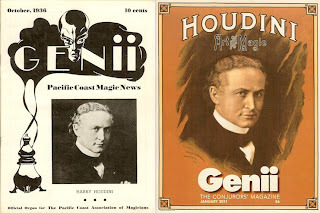 Houdini and Bess (played by Maria Blasucci) did indeed work briefly as spirit mediums early in their careers. However, they did a stage act, not private consultation as depicted in the reenactment. 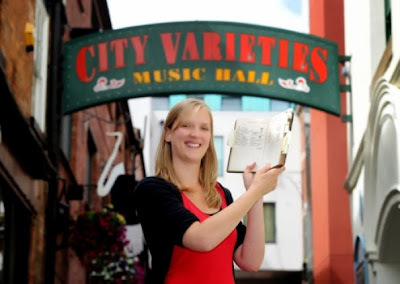 Also, I don't know where that bit about Bess posing as a "Bible salesman" to glean personal information came from. That must have been the booze talking. 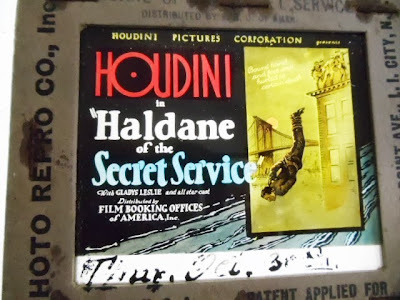 Atlantic City 1922 is the correct date and location of the Houdini-Doyle seance. 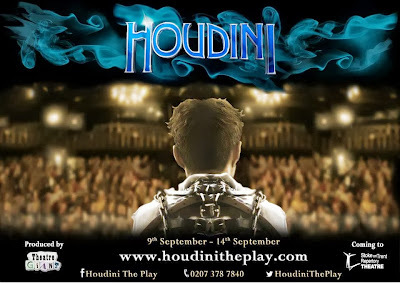 However, the show depicted Houdini as performing there with Doyle visiting him backstage. 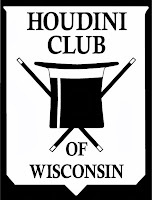 In reality the Houdinis were vacationing with the Doyles when the big seance went down. The seance with Lady Doyle (played by Sarah Burns) was depicted as being spoken communication, whereas in reality it was all done via "Automatic Writing." 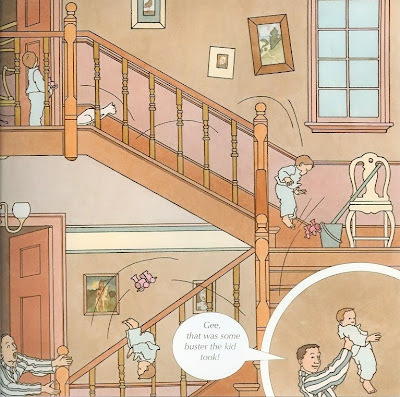 In fairness, Dillon did say the communication would be done with "handwriting", but it was much funnier having the Burns/Dillon wildly articulate the ghostly words from Houdini's mother. Houdini did indeed ask if his mother's ghost could read his mind, and Lady Doyle did make the sign of the cross on the top of her notepad. 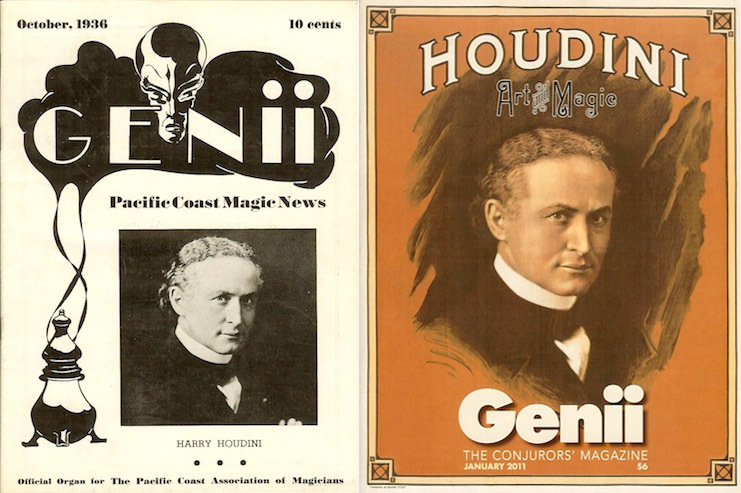 The show depicted Houdini as blowing his top at the seance, but in reality he kept his feelings to himself at that sitting. 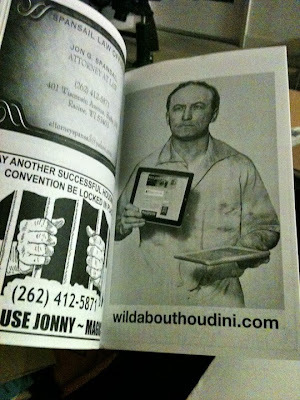 Houdini did wear disguises to seances (here's one) and aggressively exposed mediums on the spot. Whether or not he flipped them a double bird on his way out the door...only the spirits know. The dressing room assault by J. Gordon Whitehead (here played by show creator Derek Waters) was not quite as abrupt as depicted in the reenactment. Houdini was also reclining on a couch at the time of the blows. 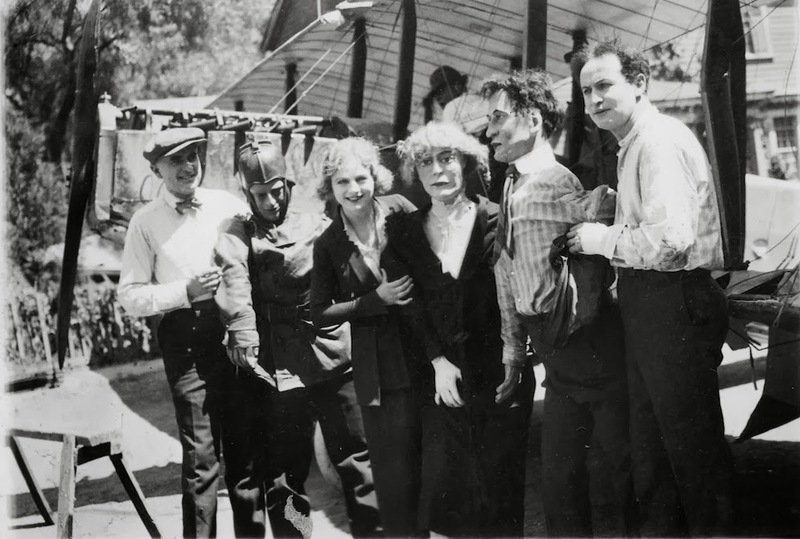 The reenactment suggested a stricken Houdini went right from his dressing room to his final performance, but in reality the assault happened while Houdini was in Montreal. He traveled to Detroit to give his last performance two days later. 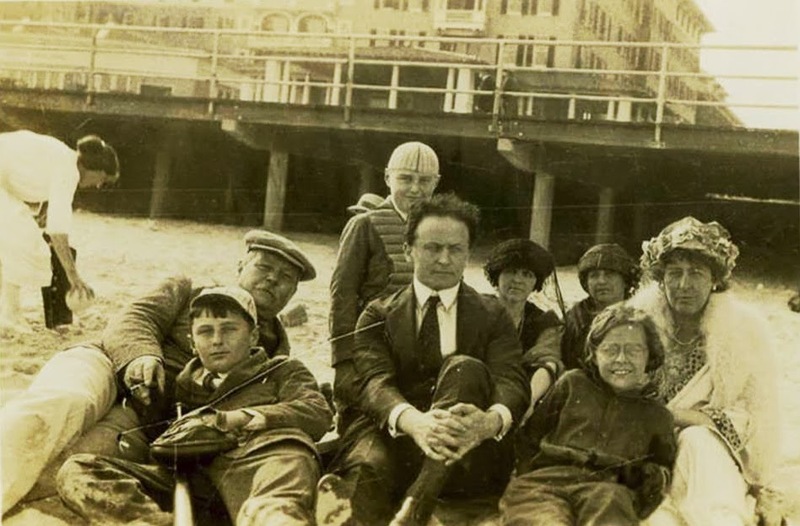 Houdini did indeed perform his final show at the Garrick Theater with a 104 degree temperature and a burst appendix (which probably ruptured on the overnight train ride to Detroit), although his appendicitis would not be discovered until he was operated on the next day. Houdini final performance was not as sloppy as shown in the reenactment, although the interior agony of it might have been very accurate for what Houdini himself was experiencing. 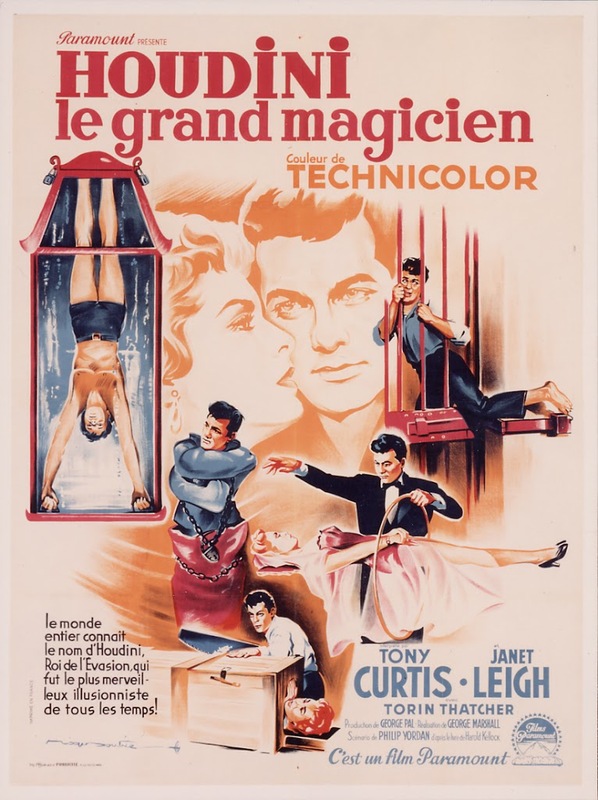 There was indeed a man in the audience who had seen Houdini before (not sure about "8 times") who sensed that something was wrong. 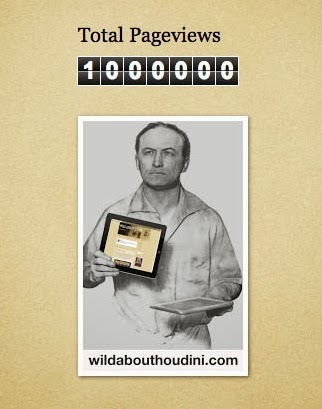 Others who had not seen Houdini thought the show was pretty good. 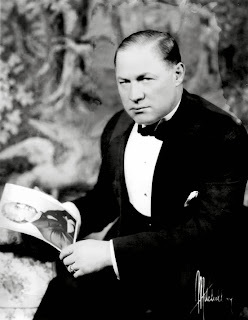 Houdini did die in Grace Hospital in Detroit on Halloween, although the Doyles were not by his bedside. Houdini died with his brother Hardeen by his side. His doctors at the time were noncommittal about whether the blows caused the fatal infection. That would be fought about between his lawyer, Bernard Ernst, and the New York Life Insurance Co. for the next year. Ernst ultimately succeeded in pinning the cause of Houdini's final illness on the blows, which enabled Bess to collect double indemnity for accidental death. The debate as to whether Houdini was suffering from appendicitis before the blows continues to this day. 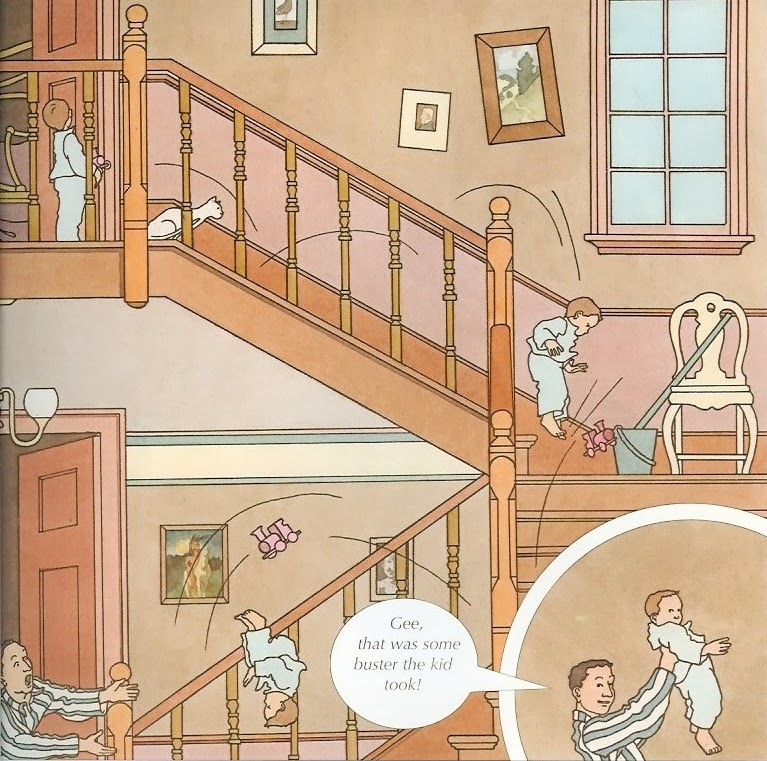 The "10 year compact" is something that might need to be tackled in a fresh post at some point, because exactly what Harry and Bess arranged is not so straight forward as that. 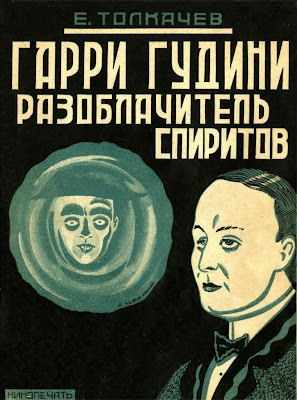 But for now, yes, Houdini and his wife arranged a codeword that would identify him should he come back. Bess did give up on seances after 10 years and she did say, "Ten years is long enough to wait for any man." And, yes, Bess's hair was white by then. So there's your sober recap of Drunk History. Kudos to the show for treating our man right and doing a good job with the history while still having a lot of fun. Houdini and the Doyles in Atlantic City at the time of the seance.